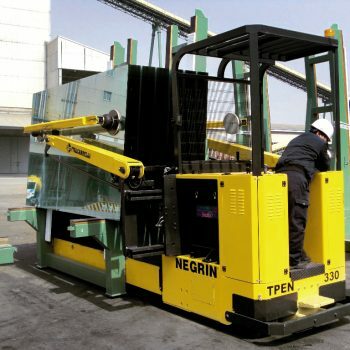 loading capacity ranging from 5 to 60 tons and beyond. 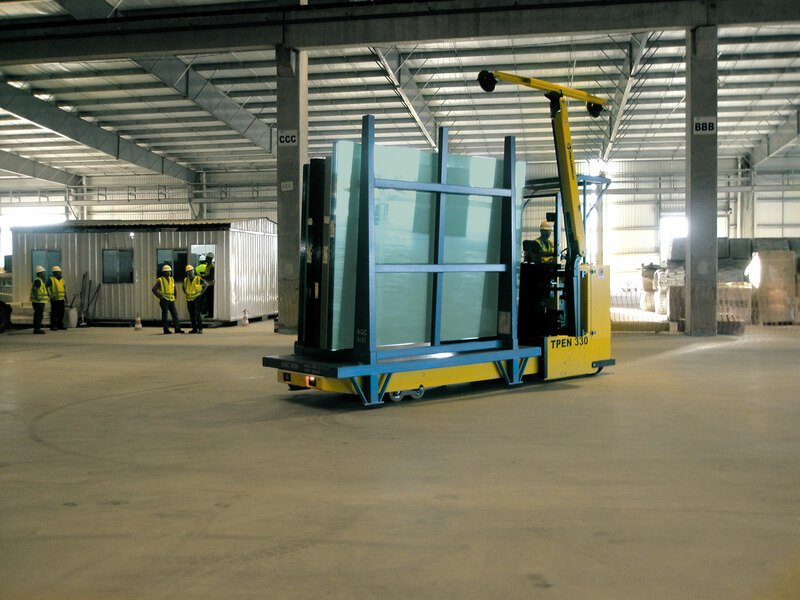 They are used for transporting flat glass on stillages. 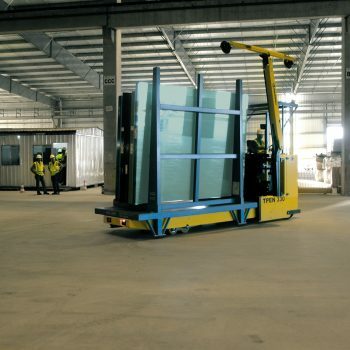 Thanks to these machines, it is possible to transport glass sheets of any size from the stackers of the float line to the warehouse, as well as to perform normal handling inside the premises of glass industries and companies. They are equipped with the “Sicur-Lift” lifting system (Patent Pending), which assures a double mechanical and hydraulic safety. size of the racks to be transported. Upon request, we can provide the design of the racks itself. The trucks can be battery powered or equipped with either diesel or gas engine. 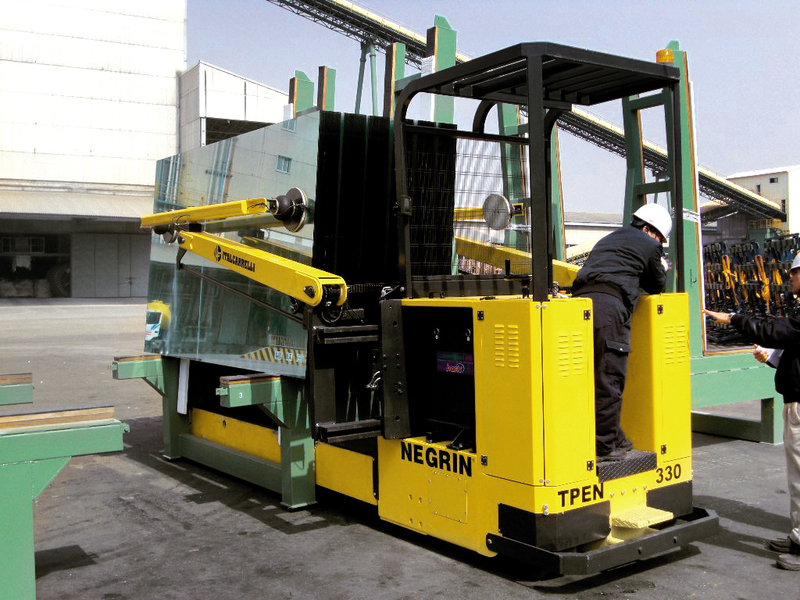 Optional devices are available, such as seated driving position, video cameras, ultrasound sensors for slowing down the machine automatically in presence of obstacles and hydraulic equipment for fastening the glass on the racks.